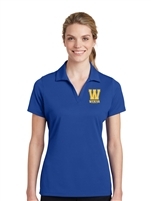 Color-locking, ultra-fine flat back mesh polo with an embroidered Wekiva Elementary logo. A medium-weight fleece zip up hoodie. 80% cotton, 20% polyester fleece. 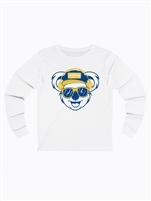 A classic crew neck, long-sleeved tee. 100% Airlume combed and ring-spun cotton. 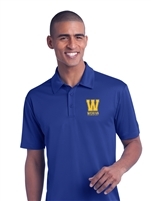 Color-locking, moisture-wicking polo with an embroidered Wekiva Elementary logo. 3-button placket with dyed-to-match buttons. All merchandise purchased will be sent to your Wekiva Elementary student's classroom. Student's information will need to be entered at time of checkout.